Since the declaration of peace in Sri Lanka in 2009, real estate on the island has experienced a rapid revival. This revival has turned into a boom, and as a consequence, property prices on the island have soared. In rapidly developing countries, a property boom often makes affordable housing hard to find. However, initiatives to address this are proving that homes for the needy and less wealthy are being made available. Unlike in many developing countries, urbanisation in Sri Lanka has happened relatively slowly over a fairly long period of time. The pace of migration from rural areas into cities has certainly accelerated since the end of the civil war, and this has created new challenges. In addition, native Sri Lankans who were living abroad during the war have now returned home. Leading property portal Lamudi Lanka (Pvt) Ltd states that as a result of the transformation of Colombo and other major cities, luxury property is on the rise - boding well for the city’s global position, while leaving a gap and a lack of more basic housing. If it wasn’t for organisations working hard to provide homes for the poorer echelons of society, this gap would be widening at an uncontrollable rate. As a developing country, much of Sri Lanka’s population lies below the poverty line. According to Holkim Lanka, which is involved in the construction of affordable homes, the proportion of the population that lives in poverty is as high as 23%. While most Sri Lankan families dream of owning their own property built with sturdy modern materials, making this a reality is unattainable for a large proportion of the population. This is often the case even for those who are not below the property line. In most emerging markets, home loans are few and far between. This is the main factor that keeps the dream of purchasing a home out of reach. To address this issue, two steps need to be put into place; the introduction of government policy to improve access to home loans, and the involvement of housing organisations which create affordable homes. Organisations such as Lafarge, Moladi, Habitat for Humanity Sri Lanka, and the National Housing Development Authority are making a huge difference to the creation of affordable homes for Sri Lankan people. Among some of the solutions that can lead to the creation of affordable accommodation is microfinance. When a population does not have access to financial institutions which are willing to lend money or provide mortgages, microfinance can be a very viable option. In many cases, this option is accessed by an organisation on behalf of a community. Thanks to the involvement of housing charities and other organisations, the issue of lacking a credit history or risking defaulting on a loan is reduced. Organisations may be able to improve existing housing by borrowing small amounts to repair windows or to waterproof homes using Plexiglas, for example. As well as making repairs to existing homes through microfinance, organisations can approach governments in order to relax construction policy. 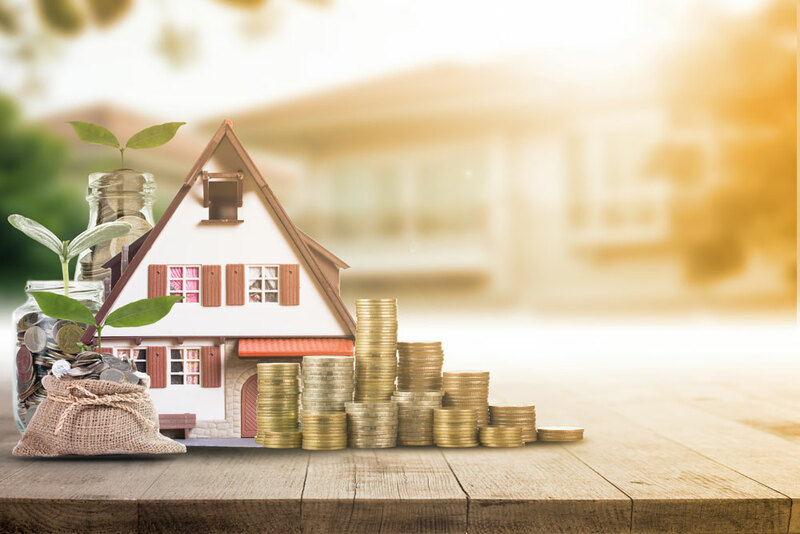 The Sri Lankan government has already recently taken steps to encourage home creation on the island, namely proposing the introduction of real estate investment trusts (REITs) in the 2016 budget. REITs own and finance income-producing real estate, and their introduction fosters healthy real estate ecosystems. Healthy real estate ecosystems usually contain low-cost housing as well as more luxury and mid-range accommodation. Creating modern low cost social housing projects is the key to getting Sri Lankans out of poorly constructed accommodation and into safe and well constructed homes. Providing homes for those in need is one thing, but providing homes with modern facilities is another. Through innovation, organisations such as Lafarge are developing weather-resistant materials for construction. Lafarge has created alternative low-cost solutions to brick building including mixing earth with cement to create stabilised blocks, which don’t need firing. This makes large scale construction more efficient, more durable, and less expensive. Luxury housing and affordable housing don’t have to be mutually exclusive in developing cities such as Colombo, Kandy, Galle, and Negombo. In order for a city thrive in fully developed state, issues such as extensive homelessness and a lack of appropriate shelter must be addressed. In light of current measures to improve housing across the board, the future of accommodation in Sri Lanka is looking bright.